9 takeaways from Israel’s historic election – J.
Israel’s election on Tuesday was contentious, historic, crazy — and somewhat predictable. With most of the vote counted — some 300,000 votes from soldiers, diplomats and other Israeli officials working abroad have yet to be tallied — Benjamin Netanyahu seems poised to become the longest-serving prime minister in Israel’s history, with the help of his strengthened right-wing parliamentary bloc. But that didn’t mean the results didn’t bring some surprises. No Israeli party had ever garnered more than a million votes in an election, but two did on Tuesday: Netanyahu’s Likud Party, and former Israeli military chief of staff Benny Gantz’s centrist Blue and White Party, which included the other prominent politicians Yair Lapid and Moshe Yaalon. They won the same amount of seats — 35 — but Netanyahu’s right-wing coalition is better positioned to form a government. 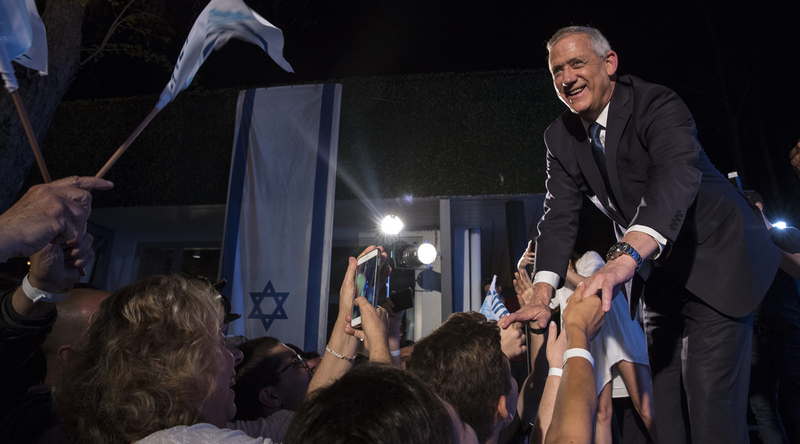 Still, Gantz’s showing was impressive, and his bloc could become a formidable opposition in the years to come. There’s also always the chance that Netanyahu forms a unity government, joining with Blue and White — but that is unlikely. The Sephardic Orthodox Shas Party gained one seat for a total of 8, and the United Torah Judaism Party gained two seats also for a total of 8. Their combined 16 votes could put them in the driver’s seat when it comes to legislation dealing with a host of issues they care about, such as the enlistment of yeshiva students, public transportation on Shabbat and the push for egalitarian prayer at the Western Wall. In the last election, the Arab parties joined together and called themselves the Joint List. They won 13 seats in that election. This time around, however, squabbles split the list into separate parties. Two Arab party coalitions made it into the new Knesset: The Hadash-Taal list received 6 seats and the Raam-Balad List barely squeaked past the electoral threshold of 3.25 percent of the total vote to garner 4 seats, for a total of 10 seats representing Arab-Israelis. But Arab voter turnout was historically low — nearly half the traditional rate. That was despite calls by Arab politicians and religious leaders — the latter of which took to muezzins to encourage the public to vote. One reason was likely disgust with the parties that ran in the 2019 election, for not being able to find a way to continue together as the more powerful Joint List. Some were also disappointed with the parties’ inability to prevent pieces of legislation such as the nation-state law, which codified Israel as a Jewish state. Election Day reports also showed that some 1,200 cameras were placed in Arab polling stations by the Likud Party, which claimed it was protecting against voter fraud. Arab leaders said tactic intimidated members of the Arab community and kept them from the polls. If nothing big changes in the coming days, the new Knesset will have the same number of women as the last: 29 out of 120. That places Israel in 76th place internationally, in terms of women’s representation in government, down from 66th place in 2015. 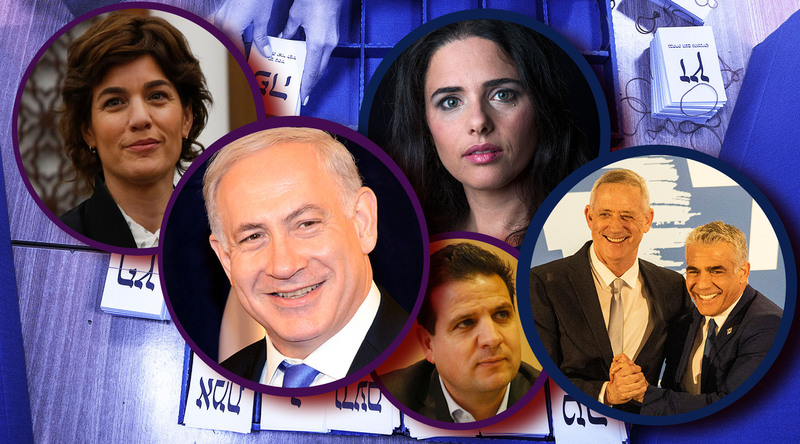 Two of Israel’s most prominent and outspoken right-wing lawmakers will likely not make it into the next government: Education Minister Naftali Bennett and Justice Minister Ayelet Shaked. The pair broke away from the Jewish Home Party, formerly headed by Bennett, to form The New Right Party, which they called a party based on a “full and equal partnership” between Orthodox and secular Israelis. The party was designed to give secular right-wingers a comfortable place to put their vote, and increase the size of the right-wing bloc. 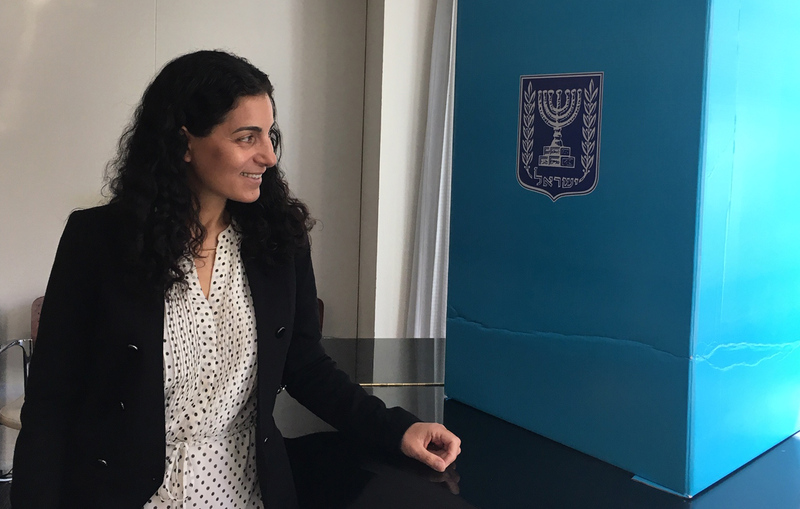 The attempt seems to have backfired: The Jewish Home Party, which joined with the Kahanist Otzma Yehudit, or Jewish Power, party and the National Union Party for the 2019 vote, had 5 seats in the last Knesset, and earned the same number again. But The New Right do not appear to have passed the electoral threshold of 3.25 percent of the total vote. In the last few months leading up to the election, Moshe Feiglin was hailed as one of the most important players in any upcoming Knesset coalition. He seemed to be attracting a large following of young people with his libertarian policies — including support for full legalization of marijuana. But his Zehut party also failed to pass the electoral threshold. The final total voter turnout was 67.9 percent of eligible Israeli voters, down nearly 4 percentage points from 71.8 percent from the last election in 2015. This was despite the fact that Election Day is a national holiday, and all public transportation between cities was free to help people to get to their polling places. More than 150,000 Israelis managed to visit national parks on Election Day, hopefully after they went to the polls. Israel’s president, Reuven Rivlin, gets to decide which party head gets a chance at forming the new government. With Likud and Blue and White tied at 35, or even if that total changes by a seat or two in either direction, Rivlin will look at which leader will be more likely to be able to form a government. In order to do so, Rivlin will meet with each party head and ask who he or she (there is one she — Tamar Zandberg of the liberal Meretz Party) will recommend to lead the government. Rivlin on Wednesday announced that the consultations will be broadcast live, and the party heads will be able to give official statements at a press center set up at the president’s residence. The post-election press center is nothing new, but the live broadcast certainly is, and is being done “in the name of transparency,” according to a statement from the President’s Office. During the campaign, Netanyahu told members of the Likud in a statement captured on tape that Rivlin “is just looking for an excuse” to tap Gantz to form the next government — so the end of this process could be interesting. 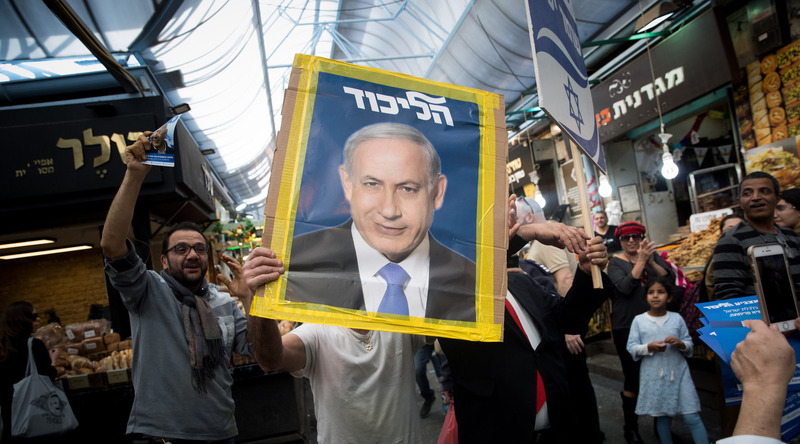 During his upcoming term, Netanyahu will become the country’s longest-serving prime minister, and it looks like his coalition — projected to be 65 seats, giving him a strong 10-seat cushion over the opposition — will allow him to govern comfortably and effectively. Still, there will be big bumps for him along the way. Netanyahu promised at the very end of the campaign to annex the West Bank. If he does so, he’s certain to provoke an enormous amount of international scrutiny, especially since the move would likely mean the end of a traditionally formulated two-state solution to the Israeli-Palestinian conflict. The Trump administration is slated to roll out its Middle East peace plan not long after the dust settles from the election, and all signs have indicated that it will include full Israeli control of the West Bank. Finally, Netanyahu’s apparent crowning as “King Bibi” does not mean that his corruption scandals and looming indictments are going to go away. 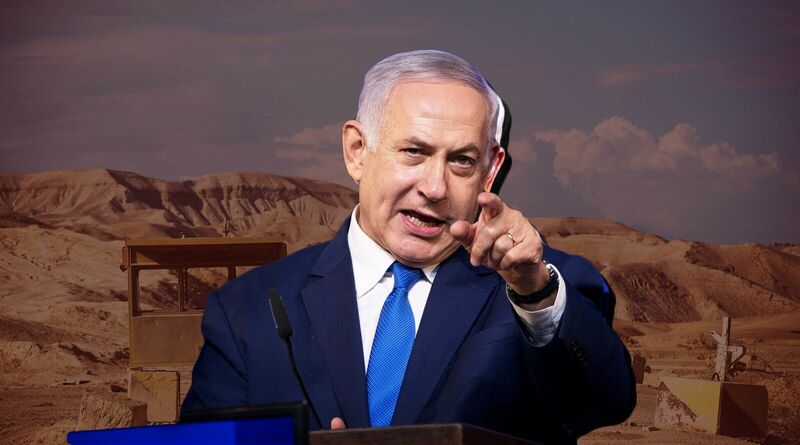 News reports the day after the election indicated that Attorney General Avichai Mandelblit, who announced in February that he would indict Netanyahu in three cases, pending a pre-indictment hearing, would schedule that hearing for some time in the coming three months. Netanyahu denies any wrongdoing in the cases.